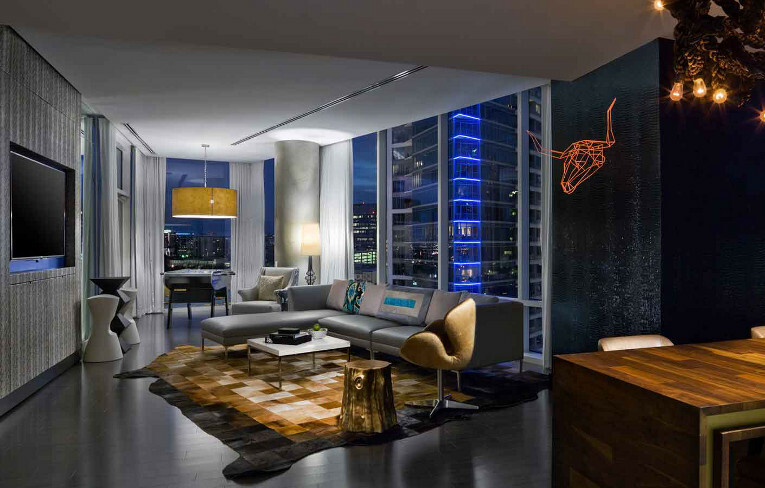 At W Dallas - Victory, your wish truly is our command with our Whatever/Whenever service. We'll make your special moment magical, and transform your dreams into reality. Whatever you want. Whenever you want it (as long as it's legal). 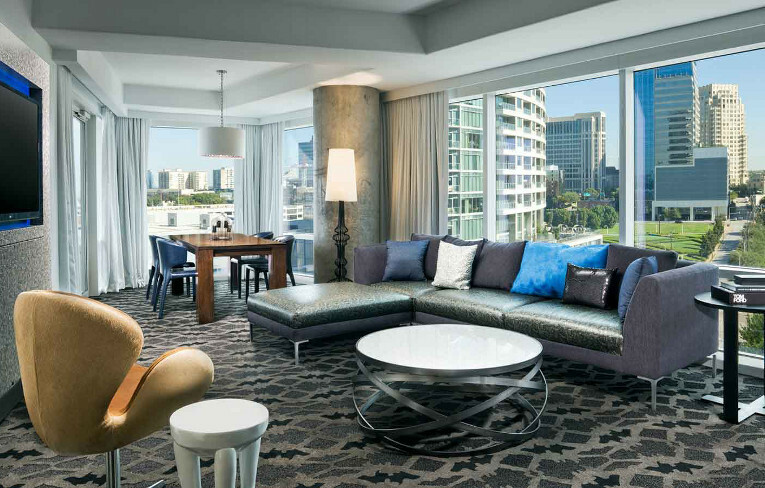 Sink into the comfort of The Living Room's plush couches, groove to the sweet sounds of a live DJ or take it outside onto the terrace where perfect martinis and prime people watching conspire. 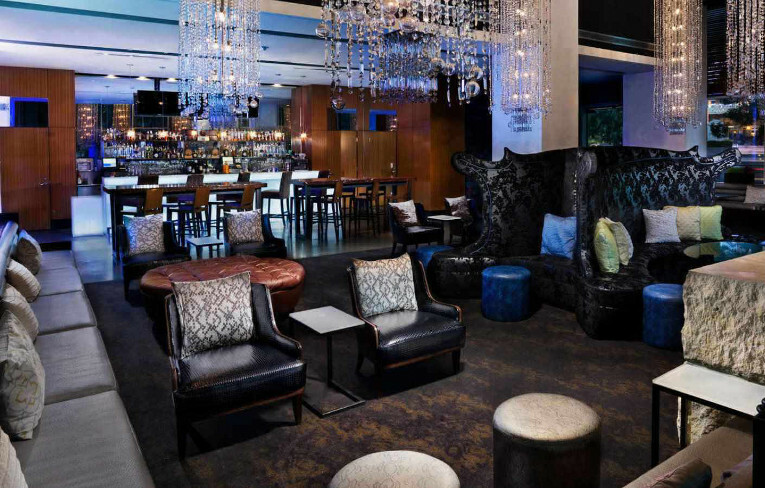 Rated among locals as a top Dallas bar, The Living Room is the place to be and be seen. There is simply no better place to hang your hat (cowboy or otherwise) than the newly restyled W Dallas-Victory. 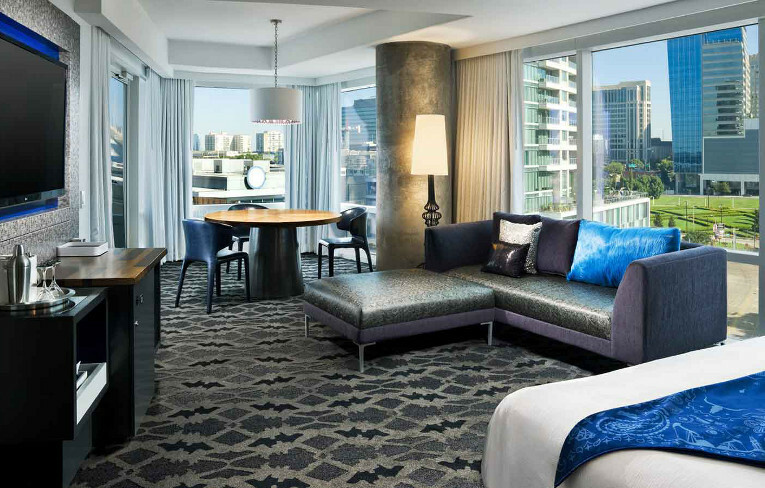 All of our restyled guestrooms and suites will activate your senses with cowboy cool textures such as cowhide and snake skin. Our unique and subtle touches including lasso sculptures and armadillo skin embellishments will have you saying WOW at every turn. 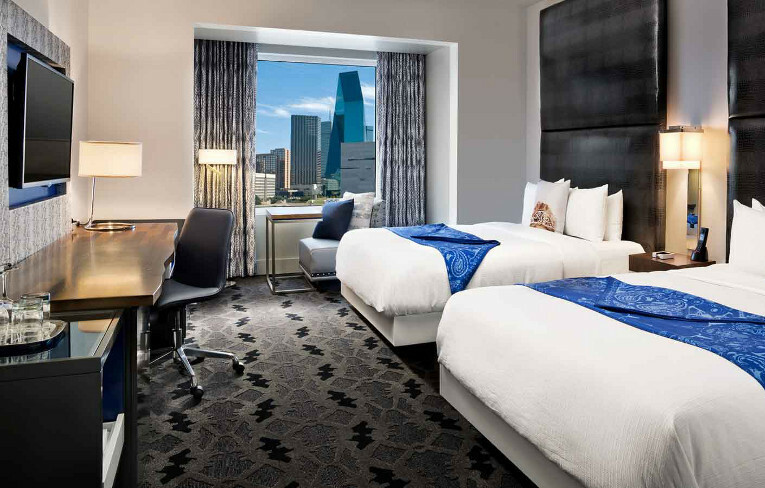 Cucumber cool, our downtown Dallas hotel rooms pulse with energy while still giving you the perfect place to unwind. Retreat to the sanctuary of a Wonderful Room or bring the party back to one of our suites and keep the party going all night. Explore delectable and decadent dishes at the W Dallas- Victory's dining options; socialize and mingle while savoring our unique cocktails, or enjoy a quick bite in The Living Room Lounge or sip on a brew at a one-of-a kind Dallas restaurant, Cook Hall. 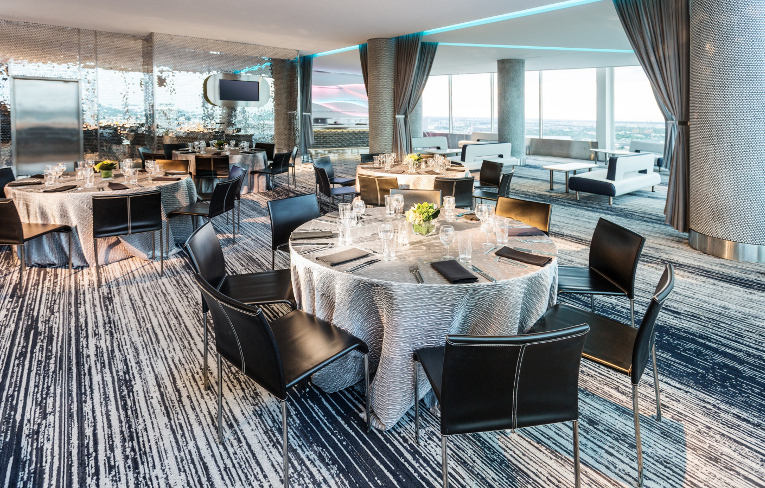 Perfect for work and play, W Dallas - Victory offers everything you need to make your business beautiful, meeting memorable and special event spectacular in downtown Dallas. 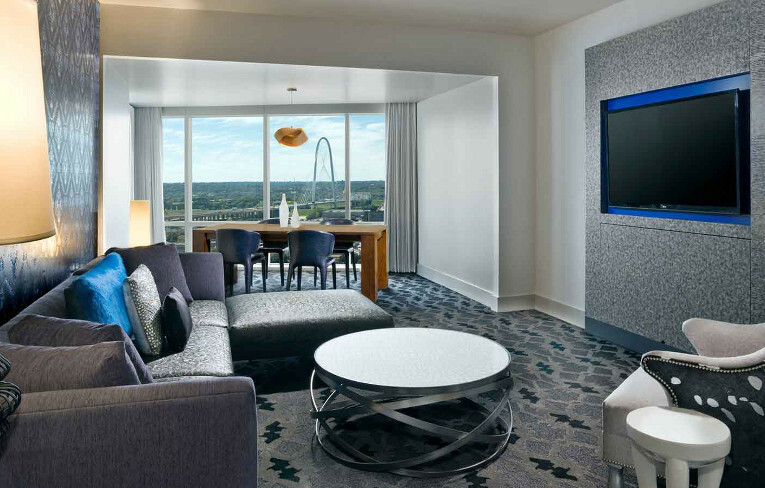 Creative in approach and innovative in design, our Dallas convention hotel is a breath of fresh air for your attendees. Looking to relax at a wonderful spa in Dallas? 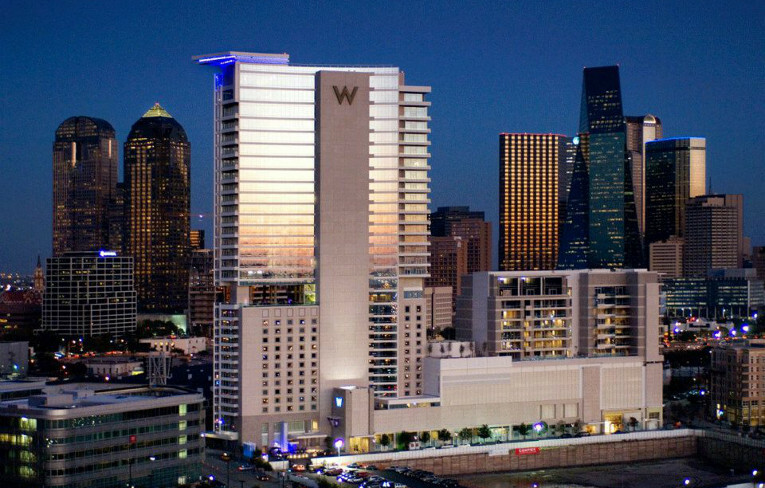 Look no further than the W Dallas Hotel, home to Bliss® Spa Dallas! Signature skincare and facial treatments for him and for her, along with anti-aging services, bath and body treatments, massages, manicures, pedicures, waxing and more are offered at Bliss Spa Dallas.